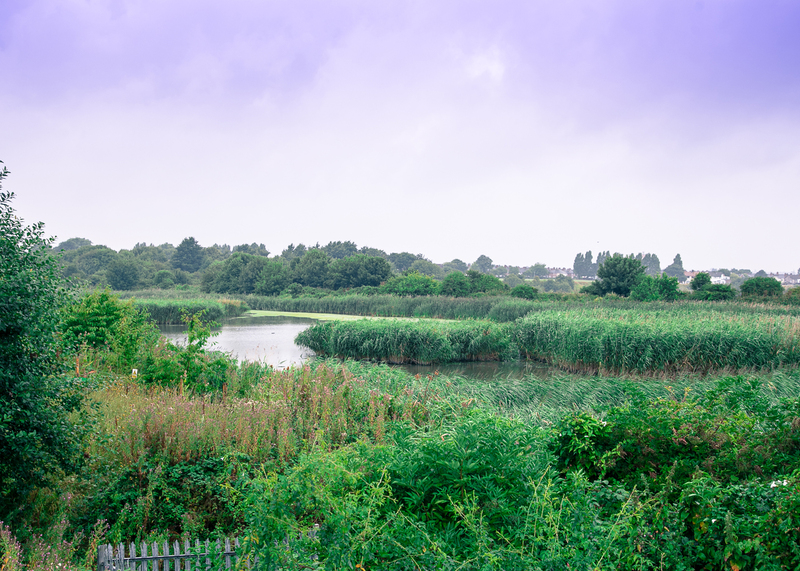 Port Sunlight River Park has been transformed from a closed landfill site to a 28-hectare park providing a popular community space with an array of walkways, wildlife, wildflowers and a wetlands area. Simply put, it's a place for the public to reap the rewards of the great outdoors! The park, which opened in 2014, provides visitors with a scenic waterfront and a variety of walks offering visitors stunning views across the Merseyside to Liverpool’s iconic waterfront. A section of wetland to the north of the site, along with River Mersey mud flats is already an important site for large populations of water birds and is a site of special protection. The current managing partners Autism Together, who manage the park on a day to day basis on behalf of the Land Trust, were later brought in to help realise the Land Trust’s vision to provide a community site that makes a positive difference for local people and visitors, promoting healthy lifestyles in the process. 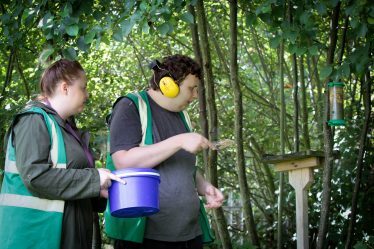 Service user feeds the birds with support worker from Autism Together. The park is made up of a few areas of land. 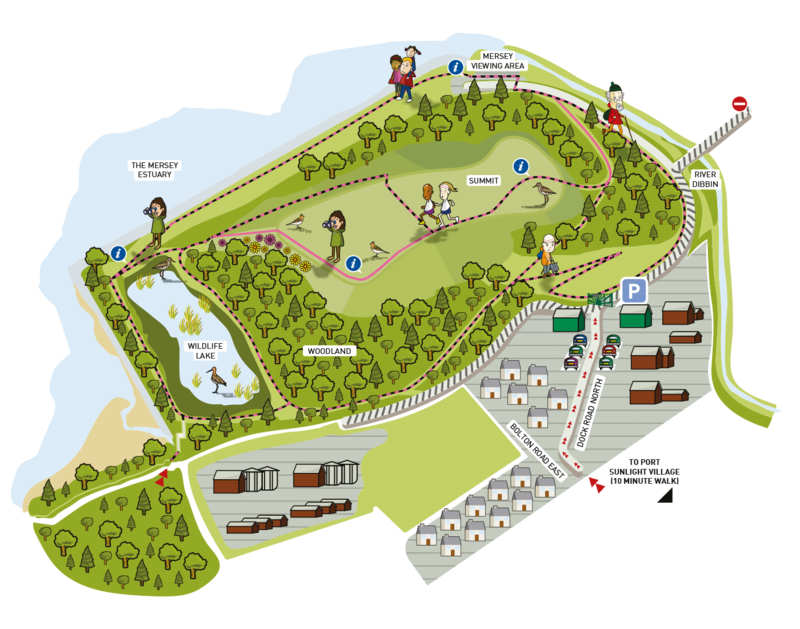 The main area of the park is the surface of the former landfill and in addition – land between the landfill site and the River Mersey, either side of the River Dibbin to the A41 and the Old Courthouse woodland opposite the Village Hotel. The former landfill site is a mound of household and industrial waste that has built into a 37 metre high hill following years of landfill, which provides fabulous views. Under the soils is a capping protection layer which immediately overlies a low permeability plastic cap. Under this plastic is another plastic cap protection layer and under this the waste. The landfill site has been capped and restored with soil between 1-3 metres deep. The Land Trust has a 99 year lease of the surface of the park from Biffa Waste Services Ltd and the edges of the River Mersey and the River Dibbin from Unilever. Biffa Waste Services will continue to manage the on-going liabilities associated with the landfill site and Unilever for the River Dibbin. What role has Autism Together? The Land Trust has appointed Autism Together to manage the park on a day to day basis on their behalf. Autism Together employs a Ranger to oversee management of the park and its landscape teams carry out the practical maintenance of the park eg. mowing grass. Twitter: @PSRiverpark Facebook: facebook.com/portsunlightriverpark Tel: Autism Together 0151 334 7510. 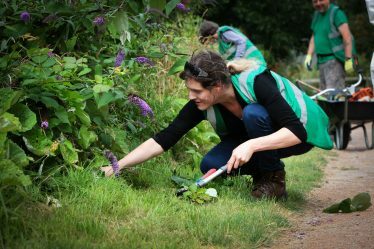 There are opportunities for volunteers to help out around the park every Saturday and Wednesday but additional opportunities exist to help with events, reception, walks and wildlife identification and with the new Friends group. Contact the Ranger for more information by email: anne.litherland@autismtogether.co.uk or call 07587 550060. Yes. The site stopped taking new waste in 2006 and since then has been ‘capped’ and the soil tested for safety. There are a number of physical barriers between the waste and the soil you walk on and the gas and run-off (leachate) produced by the waste is collected by underground pipes and treated. Are the berries safe to eat? Yes, non-poisonous berries picked on site are perfectly safe to eat. However please ensure that you know exactly what type of berry it is before picking and consuming it. Why can’t we park in Mersey View Car Park? The road leading from Dock Road North car park to the Mersey View car park is not the property of Port Sunlight River Park. It is a road for United Utilities vehicles to access the Water Treatment Facility and they require 24 hour access. The road can only be used for maintenance vehicles, special events and pre-arranged visits for vehicles with disabled persons. What is contained in those large containers at the main entrance? As you enter the Park from Dock Road North the tanks on the left side are part of the landfill’s leachate treatment plant. The compound on the right is the landfill gas utilisation compound where the landfill gas is converted to electricity and supplied to the National Grid. As with any waste, gas and other products are produced. Leachate has been described as being like the liquid you will find at the bottom of your wheelie bin. The gas and leachate is closely monitored, treated and removed from the site. As you walk around the site, you will see lots of industrial infrastructure, this is all part of the leachate and gas extraction system on site which is managed by Biffa. Why is the grass not mown? The grassland is being managed as wildflower meadows. Parts will be cut once a year once the flower seeds have set. Are bikes allowed on site? Bicycles are allowed on site, to use the site as a through-route on the paths (but not mountain biking). As the paths are narrow in places, we would expect bicycle riders to cycle at a slow speed and give way to pedestrians. We will monitor the situation and if there are problems we may need to restrict use, but at the moment we hope that both cyclists and pedestrians can use the park together. Due to the need for gates to prevent motorbike access, bicycles will need to be lifted over the entrance gates. Am I able to take my dog on the park? Yes, but you must keep it under close control. Please do not let your dog stray away from the paths. They may disturb the various wildlife on site and the ground nesting birds. Please be aware that as with any site which has been recently restored, there will inevitably be parts of the material which was used to restore the site come to the surface. We will do all we can to remove this, however, this may cause injury to your dog if your dog catches itself on it. Why can’t dog waste be left to rot down naturally? This site is the workplace for many organisations: Biffa, Essar, United Utilities, Autism Together staff, service users and volunteers; and landscaping companies employed by these organisations. Everyday people are working off the paths with permission. They may be strimming or cutting grass and dog waste is a health hazard as well as being very unpleasant. Am I able to ride my horse on at the park? Can I fish in the lake or from the Mersey View Pathway or dock front? No. The lake is an important site for birds and other wildlife and needs to be disturbed as little as possible. There is also no fishing in the river as it is an important site for rare birds – it is internationally important and is designated a RAMSAR site and a Site of Special Scientific Interest. The birds must not be disturbed, especially at low tide when they come to feed on the exposed mud flats. Why is the River Mersey Fenced off? The planning permission for the Mersey View path required us to put up the fence to prevent people from getting too close to the river. This is because the river here is an important site for rare birds – it is internationally important and is designated a RAMSAR site and a Site of Special Scientific Interest. The birds must not be disturbed, especially at low tide when they come to feed on the exposed mud flats. Why do the signs say ‘please keep to the paths’? Please be aware that as with any site which has been recently restored, there will inevitably be parts of the material which was used to restore the site come to the surface. We will do all we can to remove this; however, this may cause injury. The soil is quite rough in places and we have seeded the land off the paths with wildflower seed to encourage as much wildlife as possible to make their home here. We hope that you can see all you need to from the paths. Why are there bald patches and unfinished areas? The park is a work in progress. We have planted trees, seeded areas with grass and wild flowers and these will take time to grow and establish. 18. Are there any toilets on the park for public use? 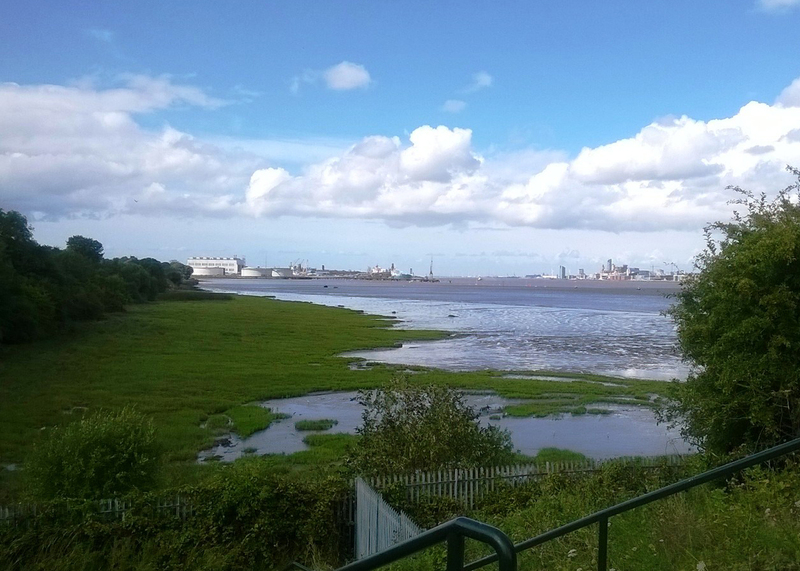 Currently there are no public toilets, however we do have limited access to toilets at the Mersey View Picnic Area. They are usually open when staff is on site Monday to Saturday 9.30am-4pm. There aren’t any fixed opening times for these. If you are visiting the park please note that the closes t public toilets are in Port Sunlight Village (at various es tablishments) and along the A41 at the Croft Retail Park. Moving forward we are hoping to secure funding to provide facilities such as toilets and a visitor centre. We are looking to raise more money to improve the former landfill operators building at the Mersey View Car Park to provide toilet, refreshments and eventually a full visitor centre. There is also an Arts Group who are looking for ideas and funding to add art pieces to the park in the future. What do you do to deal with problematic plants? Through regular inspections, we are able to identify and remove any problematic plants from the edges of the official paths. However, we do urge people to ensure they follow our specified guidance of ensuring dogs do not stray away from the public footpaths. If you spot anything, please do let the Ranger know. All year round. Dawn to Dusk. Car park closes at 4pm October to March; 6pm April to September. Parking for 10 cars. Additional parking available on Dock Road North. No but picnic benches in two areas. Two disabled parking spaces in accessible car park. Additional disabled parking available by arrangement. All paths well surfaced. Flat routes available. Accessible paths shown on interpretation at entrance. Pedestrian entrance at Shorefields is via two flights of steps. All paths well surfaced. Flat routes available. Accessible paths shown on interpretation at entrance. Pedestrian entrance at Shorefields is via two flights of steps. Yes but need to be under close control and stay on paths. Magnificent views. Watch ships on Mersey and at the dock, bird watching, sculptures, events programme, cycle hub, cycle, geocache trail. A section of wetland to the north of the site, along with River Mersey mud flats is already an important site for large populations of water birds and is a site of special protection. Port Sunlight Village, Museum and Lady Lever Art Gallery; Wirral Circular Trail, Bromborough Pool Village. This former landfill site had become a community eyesore, looming over the A41 and visible from the historic Port Sunlight village, and restricting public access. 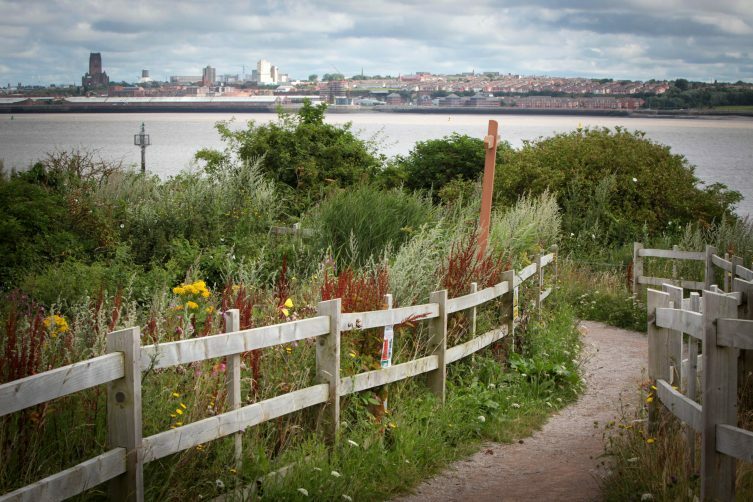 Previous uses of the site created a mental and physical barrier between neighbourhoods and restricted access to the waterfront and all associated benefits, including stunning views across the Mersey and rich habitats for an assortment of wildlife. The Land Trust – which has extensive experience in taking over brownfield sites and converting them into public green spaces – approached Biffa about taking a 99-year surface lease when the landfill reached the end of its 15-year operating life in 2006. 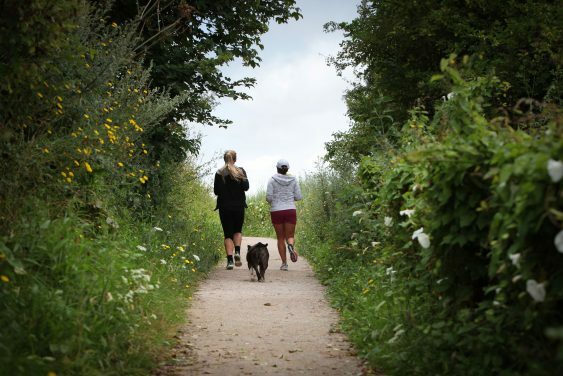 Its intention was to transform the former landfill site into a wide open public space for the local community and visitors to enjoy all the benefits of being outdoors on a site with rich potential. The project was supported by Wirral Borough Council, MP Alison McGovern and the Forestry Commission, who identified a large proportion of the funding and invited the Land Trust in to carry the restoration and long term management of the site. The Land Trust then secured further land from Unilever and long term funding from Biffa Award, UK Waste Services and the English Woodland Grant Scheme to ensure there was legacy funding available and to maintain the site in the future. From the beginning the emphasis was on working hand in hand with the community and local residents, businesses, MP Alison McGovern and Wirral Borough Council. They have been a vital source of support for the restoration throughout and those strong relationships have been retained as the Land Trust looks to continue to not only maintain but look at ways of enhancing the river park for the benefit of the public. Work at the park has taken advantage of the 37 metre mound (half a metre higher than Liverpool Cathedral) so the 28 hectare park now offers stunning views across the river to the Liverpool waterfront and the UNESCO World Heritage Site. The mound is visible from most of the immediate surroundings and is visually dominant from Liverpool and from Rock Ferry Esplanade, so its transformation has dramatically improved the visual appearance of the whole area. A major focus of the works was to improve access, including a new site entrance from Dock Road north, a link to Shorefields and access to the coastline to connect the communities of Port Sunlight, Bromborough and New Ferry with the River Mersey. The landfill site used to act as a barrier between the communities and the coast – so the river park has now opened up access to the coast for the first time in a generation. The park also provides visitors with a scenic waterfront and a perimeter walk, and an area of salt marsh to the north is already an important area for large populations of water birds and is a site of special protection. Port Sunlight River Park has been shortlisted for a Landscape Institute Award in the category of Adding Value through Landscape. The award recognises projects where landscape design has been the driver of improved cultural, social, economic or learning benefits to a community or business. Port Sunlight River Park was shortlisted in the Community Award category at the Charity Times Awards. Port Sunlight River Park was shortlisted in the Environmental and Health Project category at the Echo Environment Awards. The much-loved community park in Port Sunlight Village was shortlisted in the Hidden Gem category at the Wirral Tourism Awards. Port Sunlight River Park has picked up the Community Engagement accolade at the 3rd Sector Care Awards in recognition of how the management team use the park to benefit thousands of people each year. The Bromborough park, opened in autumn 2014, is owned by national land management charity the Land Trust and managed by Autism Together, with the brief to create an inclusive space that offers a variety of opportunities for its service users, as well as local residents and visitors. 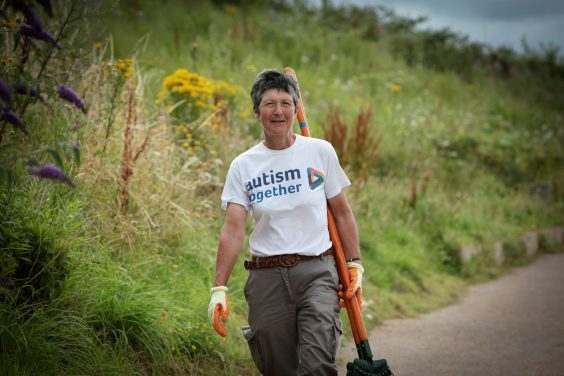 Combining Autism Together’s remit of supporting people with autism and their families, and the Land Trust’s charitable aims around health, education and community cohesion, Ranger Anne Litherland and many volunteers have worked hard to exceed expectations. 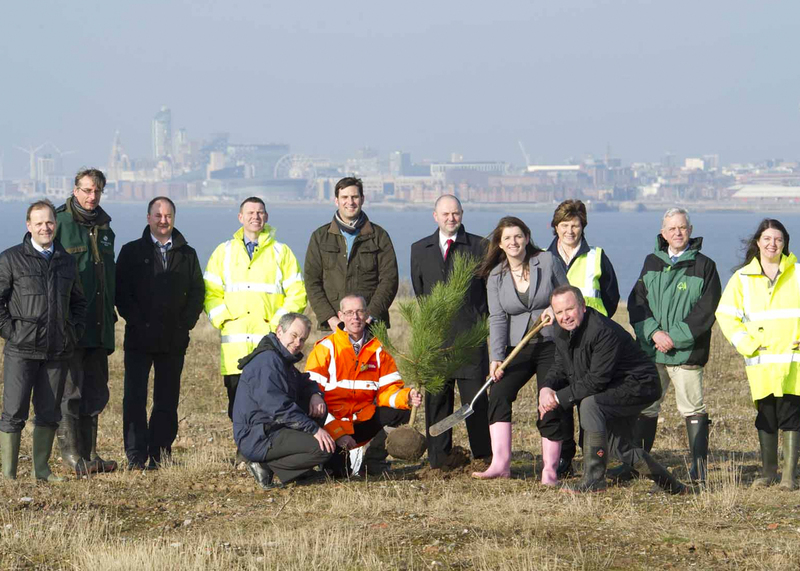 The Land Trust has made the shortlist for the Business Green Leaders Awards for its work on Port Sunlight River Park. The site has been shortlisted in the Ecosystem Project of the Year category. The BusinessGreen Leaders Awards bring together over 600 executives, entrepreneurs, investors, policymakers, and campaigners to celebrate the green economy’s most exciting and innovative achievements from the past 12 months. The Land Trust’s Green Angels programme receives success at the Echo Environment Awards, winning ‘Community Project of the Year’ award. The green-focused awards, organised by the Liverpool Echo in association with United Utilities, have been established to recognise the best environmental businesses, schools, community, projects and individuals. Green Angels, was a Big Lottery-funded programme, delivered the Land Trust to boost the quality of life for local peoples by providing environmental training opportunities and community events in and around Liverpool Festival Garden. Port Sunlight River Park was shortlisted for the Echo Environment ‘Neighbourhood Improvement Project Award’. Previously a landfill site hemmed off from the community, the site was transformed and opened to the public in 2014 by the Land Trust. The park has since gone from strength to strength, becoming a popular destination for residents and visitors and haven for wildlife, managed by Autism Together on behalf of the Land Trust. Port Sunlight River Park received ‘Highly Commended’ in the North West ‘Regeneration’ category of the Royal Institution of Chartered Surveyors (RICS) Awards 2016, which is the category showcasing “exceptional improvements to urban, rural and coastal areas”.